Breaux Bridge apartment Shooting Leaves Teenage Girl Injured; Justice Available? Did negligent security contribute to the shooting at a Breaux Bridge apartment complex and are justice and compensation available to the victim? 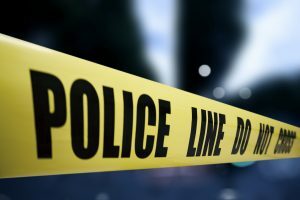 Gunfire erupted at a Breaux Bridge, Louisiana apartment complex Sunday morning, April 14, 2019, leaving one teen girl injured. According to TheAdvocate.com, the teenage girl was shot “Sunday in the parking lot of Breaux Bridge Apartments at 220 Margaret St.” The news story reports that the victim “received treatment at St. Martin Hospital and is in stable condition.” KATC.com is reporting “the 16-year-old victim was with four other teenage girls when she was shot,” no others were injured. A suspect was arrested and charged according to the media outlets. Generally, property owners are required to protect all those legally on the premises from any foreseeable harm. Should the facts of this matter reveal that the apartment complex owner failed to provide adequate security to protect those on its premises, the victim may seek justice and elect to pursue legal claims for her injuries. Justice for Family? Rubin Lee Washington, 8th grade student, Killed in Dallas Apartment Complex Shooting. Did negligent security contribute to the loss of Rubin Lee Washington and are justice and compensation available to the victim’s family? 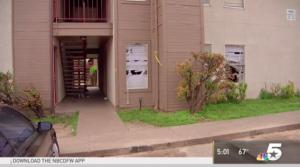 Gunfire erupted at a Dallas, Texas apartment complex Wednesday afternoon, April 10, 2019, tragically leaving a young teen boy dead. According to NBCdfw.com, “Rubin Lee Washington was shot just before 1 p.m. along the 3800 block of South Tyler Street. After officers arrived at the location, Washington was transported to Methodist Central Hospital by Dallas Fire-Rescue where he was pronounced deceased.” DallasNews.com is reporting that Rubin Lee Washington’s mother “last saw Rubin, who was sent home early from school, as she left their apartment just before the shooting. She then got a call notifying her that he had been shot in the breezeway near their front door.” Rubin Washington “was an 8th grade student at W.H. Atwell Law Academy” according to NBCdfw.com. Media reports indicate that several witnesses were present when Washington was shot and Dallas police are actively investigating the case. How were the suspects able to gain access on to the property? What security measures, such as gated-entry, fencing, monitored surveillance cameras, and visible security patrols, were in place to deter crime and protect Mr. Washington at the time of the shooting? Generally, property owners are required to protect all those legally on the premises from any foreseeable harm. Should the facts of this matter reveal that the apartment complex owner failed to provide adequate security to protect those on its premises, Mr. Washington’s family may seek justice and elect to pursue legal claims for their loss. Based upon its prior successful experience in handling security negligence claims on behalf of victims and their families, The Murray Law Firm suggests that photographs and a thorough, unbiased inspection of the property will need to be performed immediately, before any evidence may be repaired, damaged or destroyed. Given the complexities of pursuing a negligent security case, it is imperative that Mr. Washington’s family retain an experienced attorney who can ensure the preservation of any and all evidence that may support such a claim. 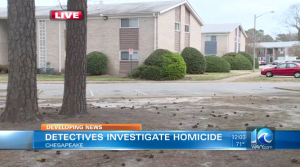 Jamahri Lucas Killed in Raleigh Apartment Complex Shooting; Justice Available to the Family? Did negligent security contribute to the loss of Jamahri Lucas and are justice and compensation available to the victim’s family? Media outlets indicate the investigation is ongoing and no suspects have been identified. What security measures, such as bright lighting, gated-entry, fencing, monitored surveillance cameras, and visible security patrols, were in place to deter crime and protect Mr. Lucas at the time of the shooting? Generally, property owners are required to protect all those legally on the premises from any foreseeable harm. Should the facts of this matter reveal that the apartment complex owner failed to provide adequate security to protect those on its premises, Mr. Lucas’ family may seek justice and elect to pursue legal claims for their loss. Based upon its prior successful experience in handling security negligence claims on behalf of victims and their families, The Murray Law Firm suggests that photographs and a thorough, unbiased inspection of the property will need to be performed immediately, before any evidence may be repaired, damaged or destroyed. Given the complexities of pursuing a negligent security case, it is imperative that Mr. Lucas’ family retain an experienced attorney who can ensure the preservation of any and all evidence that may support such a claim. 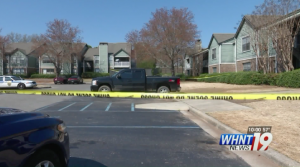 Austin D’mar Rich, 19, Killed in Huntsville Apartment Complex Shooting; Justice Available? Did negligent security contribute to the loss of Austin D’mar Rich and are justice and compensation available to the victim’s family? What security measures, such as bright lighting, gated-entry, fencing, monitored surveillance cameras, and visible security patrols, were in place to deter crime and protect the Mr. Rich at the time of the shooting? Generally, property owners are required to protect all those legally on the premises from any foreseeable harm. Should the facts of this matter reveal that the apartment complex owner failed to provide adequate security to protect those on its premises, Mr. Rich’s family may seek justice and elect to pursue legal claims for their loss. Based upon its prior successful experience in handling security negligence claims on behalf of victims and their families, The Murray Law Firm suggests that photographs and a thorough, unbiased inspection of the property will need to be performed immediately, before any evidence may be repaired, damaged or destroyed. Given the complexities of pursuing a negligent security case, it is imperative that Mr. Rich’s family retain an experienced attorney who can ensure the preservation of any and all evidence that may support such a claim. Man Shot, Seriously Injured in Attempted Robbery at San Antonio Apartment Complex; Security Lapse? Did negligent security contribute to the shooting at a San Antonio apartment complex and are justice and compensation available to the victim? 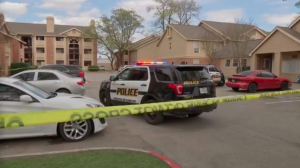 Gunfire erupted at a San Antonio, Texas apartment complex Tuesday afternoon, March 19, 2019, leaving one man injured. According to KSAT.com, “[o]fficers responded just before 1 p.m. Tuesday to the Victorian Village Apartment complex in the 5300 block of Gawain Drive on the city’s Northeast Side for a report of a shooting.” News4SanAntonio.com is reporting, “a man was walking between buildings at the complex, when three people approached him and asked for his wallet. He refused, one of the people pulled out [a gun] and shot him twice in the stomach as he ran.” The victim was taken to San Antonio Military Medical Center in critical condition. The media outlets indicate that two suspects have been detained. 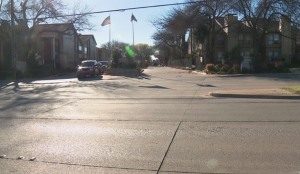 Man Killed During Attempted Robbery in Dallas Apartment Parking Lot; Security Lapse? Did negligent security contribute to the shooting at a Dallas apartment complex and are justice and compensation available to the victim’s family? Gunfire erupted at a Dallas, Texas apartment complex Thursday afternoon, March 14, 2019, leaving one man dead. According to Fox4News.com, “[the] shooting happened at 3 p.m. on Thursday, at The Vineyards at Forest Edge apartments in the 12000 block of Audelia Rd., in Lake Highlands.” The news outlet reports, “two men tried to rob the victim when he pulled into his parking spot.” A struggle ensued between the victim and the suspect and “one of the attackers pulled out a gun and shot the victim.” The victim later succumbed to his injuries at an area hospital. The media outlet indicates that no suspects have been identified. 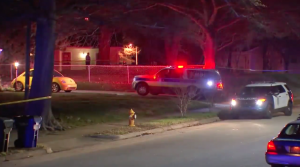 Pizza Delivery Driver Killed in Chesapeake Apartment Complex Shooting; Justice Available? Did negligent security contribute to the shooting death at a Chesapeake apartment complex and are justice and compensation available to the victim’s family? Authorities continue to investigate according to media outlets. 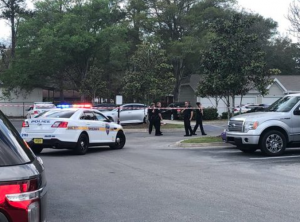 Two Men Shot and Injured in Alleged Attempted Robbery at Jacksonville Apartment Complex; Security Lapse? Did negligent security contribute to the shooting at a Jacksonville apartment complex and are justice and compensation available to the victims? The media outlets indicate that no suspects have been identified.